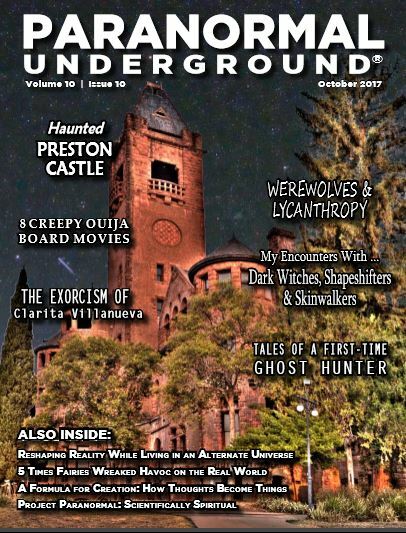 The October issue of Paranormal Underground Magazine … a magazine which gives you the chills! 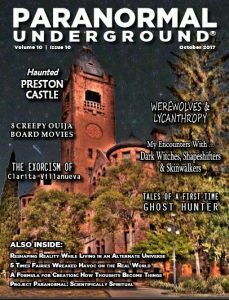 Yes, the October issue of Paranormal Underground Magazine available containing 8 creepy Ouija board movies, and “Haunted Marquette” author Tyler R. Tichelaar. But also California’s haunted Preston Castle, werewolves and lycanthropy, and the exorcism of Clarita Villanueva. 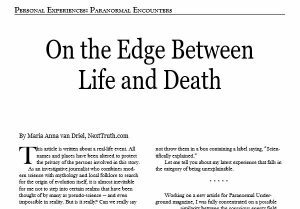 And if you didn’t had enough moments of fear, let some chills slight down your spine by reading personal encounters with dark witches, shapeshifters, and skinwalkers; and tales from a first-time ghost hunter. 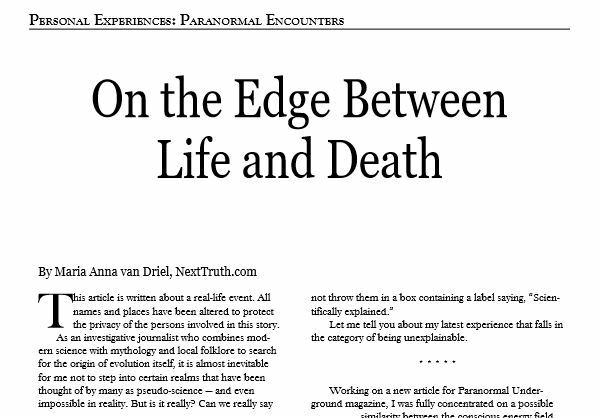 Have an eerie time reading the creepy and mind blowing articles of PU Magazine. Good night and … don’t let those eerie bedbugs bite!